I’m Ed Smith, a Roseville personal injury attorney. A resident of Roseville survived a tragic motor vehicle accident in Placer County on March 26, 2016. According to the California Highway Patrol (CHP) a 50-year-old man from Citrus Heights lost control of his car on westbound Interstate 80 near the town of Wiemar. The man was returning from Reno, Nevada and his passenger was the woman from Roseville. The car went off the road and collided head on with a large tree. Why Did the Motorist Lose Control of Car? The CHP is conducting an investigation. Both the driver and the passenger were buckled up at the time of the accident. Alcohol and/or drugs did not appear to be a factor during the time of the initial investigation of the collision. Investigators said the driver may have fallen asleep at the wheel. Sadly, the driver died from the serious injuries he sustained in the crash. The female passenger from Roseville survived. Her injuries were described as moderate. Sometimes traffic collisions reports are in error. Pinpointing an accurate cause of a collision is something that an experienced auto accident attorney and his experts are trained to do. Sometimes an accident can have contributing factors such as a roadway defect, guardrail problem, highway shoulder erosion, improperly planted trees, etc. Occasionally, a phantom vehicle may have contributed or caused the accident and fled the scene. 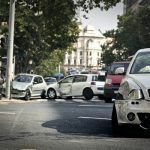 When someone in the other vehicle is seriously injured or has lost their life, it is important to investigate all angles to determine true causation and liability for an accident. 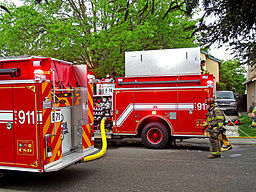 An experienced car accident lawyer utilizes experts in accident scene reconstruction. My name is Ed Smith. I’m a Roseville Personal Injury lawyer. If you, or someone you hold dear, has been seriously injured or killed in a traffic accident, contact me today (916) 921-6400 for free, friendly advice. Elsewhere, dial toll free (800) 404-5400. I’d be happy to discuss the details of your case and see what steps can be taken next. It is always smart to read customer feedback for any business you are planning to use. For a comprehensive listing of my client reviews, look here: Yelp, Avvo and Google. I am a member of the Million Dollar Forum. See my proven track record of success here: Past Settlements and Verdicts.